PMP sits down for an exclusive interview with a male house mouse (Mus musculus). Pest Management Professional (PMP): Sorry I’m late. It was tough finding the place. House mouse (HM): I try to keep a low profile around here. You never know what you’re going to run into out there. I like a nice hidden place, preferably dark, preferably near a food source. PMP: Well, this is cozy. HM: Soft, right? I know how to furnish for comfort and convenience. PMP: On the way in, I passed a mouse-friendly little nook in the corner of the kitchen — out of the way, well hidden and very close to a food source. Did you ever consider setting up camp there? HM: That’s George’s turf. I’m not going to horn in on his area. Maybe someday if he moves out. We’re all very territorial. PMP: How do you mark your territory? PMP: I didn’t see any of them over there! JHM: Journalist! Cool! Who do you write for? PMP Continued: [whispering] How many girlfriends do you have exactly? I counted three. HM: Hey, I’m not some kind of exception. Dominant males are typically polygamous. PMP: I see. And you all seem to be getting along like one big happy family. HM: We are! Most of us commensal house mice anyway. But don’t pigeonhole us — it’s all about context here in our house-mouse world. I’ve got a stepbrother who’s NON-commensal. He lives in a field, and has to fight for food and water. It’s like “Lord of the Flies” out there. He’ll probably be dead by year’s end. That’s the typical lifespan out there in the wild. I’ll fight to defend this little nook, but chances are I won’t have to. I often encounter other dominant males, but we generally keep it friendly. And one benefit of this cushy lifestyle: I’ll probably live twice, if not three times longer than my buddies out in the wild. PMP: So all those kids you just trotted out … I’m guessing they’re all yours, seeing as the fur color is about the same. HM: They are, but that’s not a great indicator. We’re all pretty much somewhere between light and dark gray. PMP: With all due respect, you’re brown. HM: Oh really? [He’s legitimately surprised.] Hey, we don’t have as many cone cells in our eyes as you do, and colors aren’t so easy for us to pick out. But look me in the eye and tell me you haven’t had your wife help you pick out a tie. HM: Oh, those are what we call our “fancy” brethren. Though, it’s not really a fair name. They’ve been bred to look like that. In fact, we’re far and away the most common genetically altered mammals in scientific research. So I actually respect them. They put their lives on the line, for … your kind. PMP: Not always very respectful of you, are we? HM: Look, we try to stay out of the way, hiding in the shadows, but you humans … for some reason you’re not as willing to cohabitate with us as we are with you. We’ve even heard tales of relatives being hunted by technicians who specialize in eradicating us … like we’re rats or something. You’ve gotta look out for those guys. Oh, the horrifying tales I’ve heard! PMP: Well, that’s all the questions I’ve got for you. Thanks for the interview. HM: If I want to read it when it’s published, who did you say you work for again? HM: Hey, wait a second! You can reach Senior Editor Will Nepper at wnepper@northcoastmedia.net or 216-706-3775. 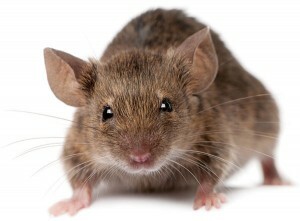 - House mouse: The mightiest of mammals?